Seven hundred neighbours of the old Anaconda mine, located about 65 kilometres southeast of Reno, claimed that Atlantic Richfield and its parent BP America had "intentionally and negligently" concealed the extent of chemical leakage into their drinking water. Atlantic Richfield, which purchased the Anaconda mine in the 1978, acknowledged no wrongdoing in the settlement. It argued that the region has naturally occurring uranium and that there's no proof that the copper mine caused the contamination. 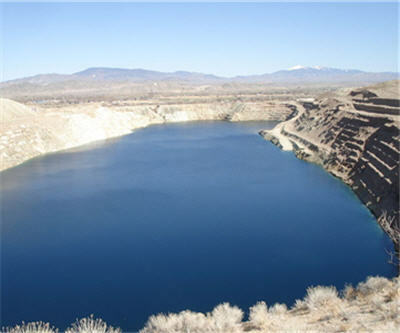 Residents filed the lawsuit after an EPA investigation determined that uranium, a by-product of the mine, was leaking into groundwater, resulting in "dangerous levels of uranium or arsenic or both" in 79% of wells north of the mine. A US Labour Department review in 2008 also revealed that the clean-up schedule had not been enforced. The companies will pay $7 million in property damages, $900,000 for a medical monitoring fund and up to $12.5 million to connect water supplies with the city of Yerington's water distribution system.